One of the main challenges in electric cars is to manage easily passenger’s wellness and comfort, without impacting battery operating life (more comfort often means more energy consumption). That’s why VALEO collaborates with SENSSIGHT to equip an EV vehicle with an embedded thermal infrared vision system. One to capture the entire cabin, to count and locate people in the car. With these pieces of information, the smart car automatically adapts cabin temperature according to passengers’ needs. Thus, each heater is individually controlled to optimize the overall power consumption without impacting passengers’ comfort. 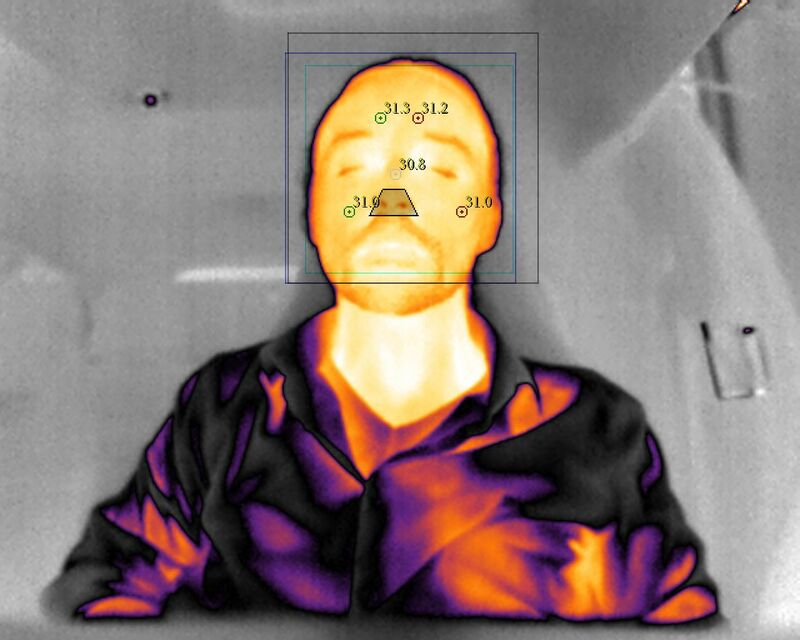 One to extract from the infrared image of the driver’s face, some critical indicators of heat stress, such as his breathing rhythm and his skin temperature. So that the car can automatically adjust the heating level appropriately. Passenger demand, which is the key to planning an efficient public transport network, is usually unknown. This lack of information results in a public transport service that is not aligned with real passengers’ needs, which causes overcrowding and long waiting times on the one hand, with inefficient overprovision on the other. With a passenger counting system, transport managers gain accurate key performance measures like passengers per mile, cost per passenger and number of passengers per driver, so they can schedule and forecast, increase user satisfaction and reduce their travel times. But visible images raise many problems: it is quite difficult to discriminate human beings out of the environment, image details require a complex treatment that cannot be done in an embedded system, the vision is accurate in the day but not at night, and the privacy is not respected. SENSSIGHT systems also distinguish adult, child or animal thanks to a unique shape recognition algorithm.